Mordicum - Mike Malloy Radio Show : Progressive Radio : Online Video Streaming : The Best In Nighttime Liberal Talk! M-F 9pm-12am. | Mike Malloy Radio Show : Progressive Radio : Online Video Streaming : The Best In Nighttime Liberal Talk! M-F 9pm-12am. Our apologies for the unexpected repeat of Friday’s program with Bob Kincaid. Working on it and will keep you,posted! Church Night, Truthseekers! Put on your holy rollers and rock over to the tent revival tonight LIVE 9PM ET! Tomorrow we have a very special 15-year time travel trip to the autumn of 2003 . . . a Classic Malloy not to be missed! Friday join Bob Kincaid as he steers the Good Ship Malloy into the weekend. Mike returns LIVE Monday 10/8 to catch up on the Kavanaugh scandal. Mike’s memoir is FINALLY finished and is being shopped to publishers. Celebrate with us! Join the fun and frivolity in the North Georgia Mountains! Take a minute to read this Salon article from June – its a very helpful reminder why Trump needs Kavanaugh on the Supreme Court to pull his fuzzy orange balls outta the fire. It’s particularly interesting given the NYT long-form research piece on the Trump Crime Family business and it’s major federal tax fraud violations. 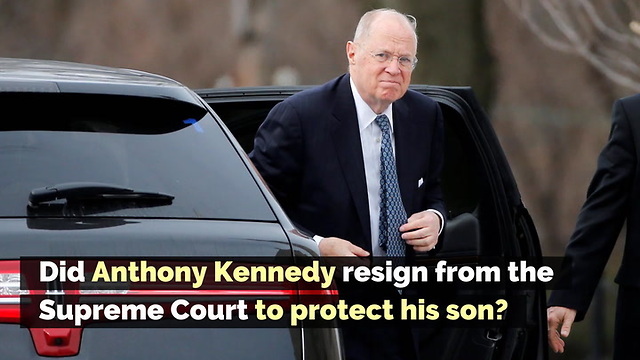 And it casts a serious shadow over the ethics of Justice Anthony Kennedy. Jack- Your answer is in Kathy’s second paragraph. Kavanaugh is confirmed. Expect all the progressive gains since the Civil War to be stripped, piece by piece. Still waiting for Jill Stein’s reaction. Next time she runs for President, maybe she’ll repeat her claim there is no difference between the two major parties. In the weeks and days leading up to Kavanaugh’s ascension to the Supreme Court, Jill Stein held the following position… *to be released in another two years. But not to worry about Bart O’Naw’s alleged attack on Ms. Ford (It was someone else) and the overturning of Roe vs. Wade (He won’t do that). This according to the soon to be unemployed moron, Susan Collins. We still need Manchin, Collins & Murkowski as a firewall against another attempt to end Obamacare. It looks like Susan Rice will challenge Collins in 2020. Jeff Flake once again proved his cowardice. He took a principled stand in rhetoric only by grandstanding for a useless FBI investigation. Flake is more interested in lobbyist dollars after he leaves the Senate than in protecting the integrity of the Supreme Court. Trump has stopped attacking the FBI for their help in the Mueller investigation. Talk about working the ref. I wonder how any finding by Mueller can stick now that the Supreme Court is in Trump’s pocket. The only cure for this mess we’re now in is to vote, vote, vote. Turnout is the key. Malloy makes schedule as he sees fit, he was supposed to be back 10/8 live according to his message board. Not. Dead air I’m getting a bit annoyed. i can’t login to the podcast page? does anybody know if Mike got blowed away by Mike?? ?